Brush, grass, and forest fires don't have to be disasters. National Fire Protection Association's (NFPA) Firewise USA Program encourages local solutions for safety by involving homeowners in taking individual responsibility for preparing their homes from the risk of wildfire. 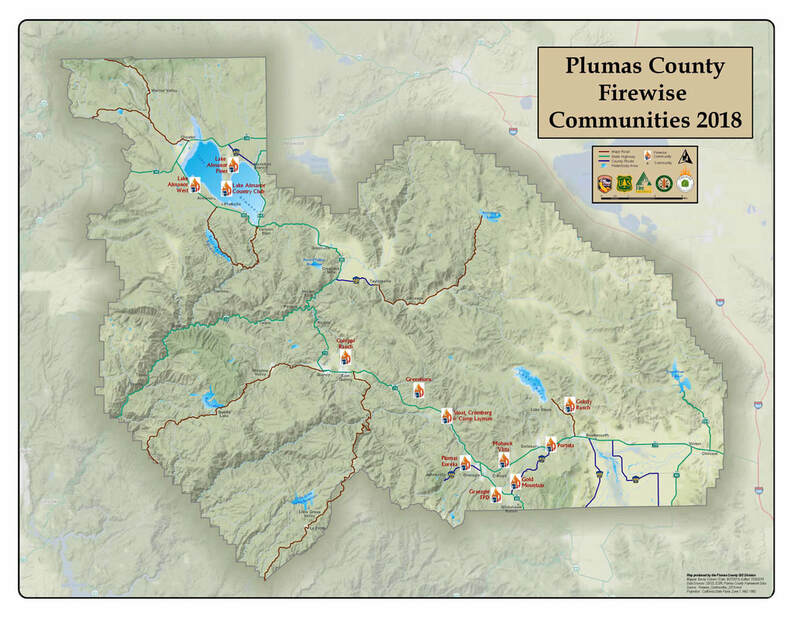 Firewise is a key component of Fire Adapted Communities- a collaborative approach that connects all those who play a role in wildfire education, planning and action with comprehensive resources to help reduce risk. The program is co-sponsored by the USDA Forest Service, the US Department of the Interior, and the National Association of State Foresters. To save lives ad property from wildfire NFPA's Firewise USA program teaches people how to adapt to living with wildfire and encourages neighbors to work together and take action now to prevent losses. We all have a role to play in protecting ourselves and each other from the risk of wildfire. For more information about the Firewise Program click here. Firewise USA Designation vs. Community Wildfire Protection Plan: Which is right for your community? ​See our Community Wildfire Protection Plan Checklist to find out more. Click below to download document.